Summer’s relaxed vibe means people take a break from some of the more harried aspects of city life. They go out of town. They stay in the air conditioning or hang out by the pool. When it comes to food, choices tend to be quick, casual, and familiar. Fall’s cooler temps also bring a renewed interest in food. That means the time has come to catch up on the best of what opened this summer before the flurry of new openings builds before the Super Bowl. As always, these are roughly ordered by how important it is I think you try them, but, since this column hasn’t appeared since July (mea culpa), the whole list is worth your consideration. People who follow barbecue paparazzi (h/t J.C. Reid) on Instagram already know that The Pit Room, the recently opened barbecue joint in Montrose, is serving up some delicious-looking food. Thankfully, the meat coming out of chef-pitmaster Bramwell Tripp’s smokers tastes as good as it looks. Proximity to my Montrose apartment means that I’ve made several visits since it opened, and I’ve had good experiences each time. 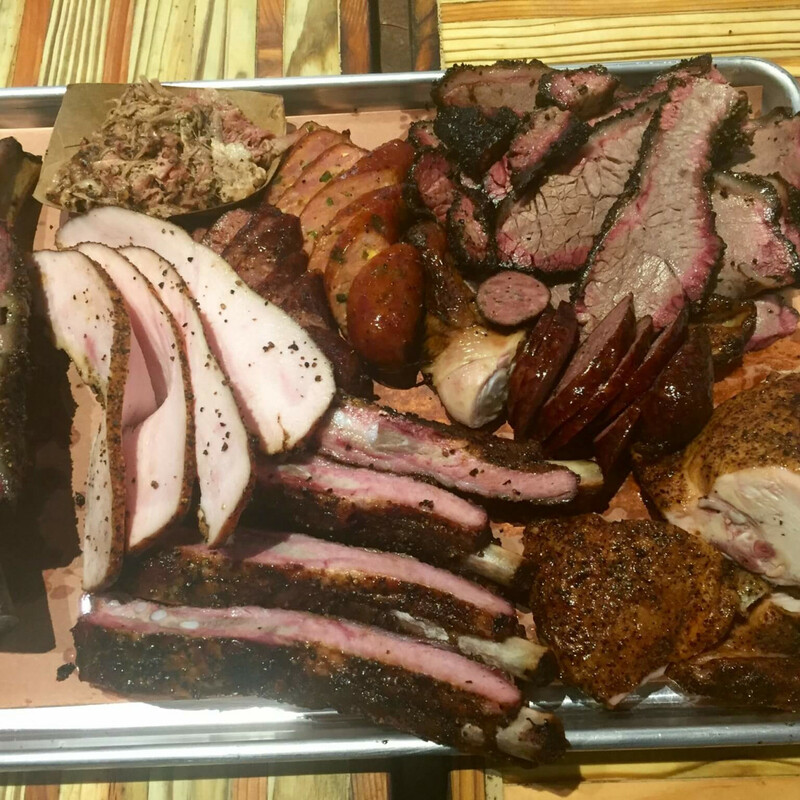 Housemade sausages drip with delicious meat juice, the USDA Prime brisket has a good bark and a pleasant amount of smoke, and the pork ribs have just the right amount of chew. 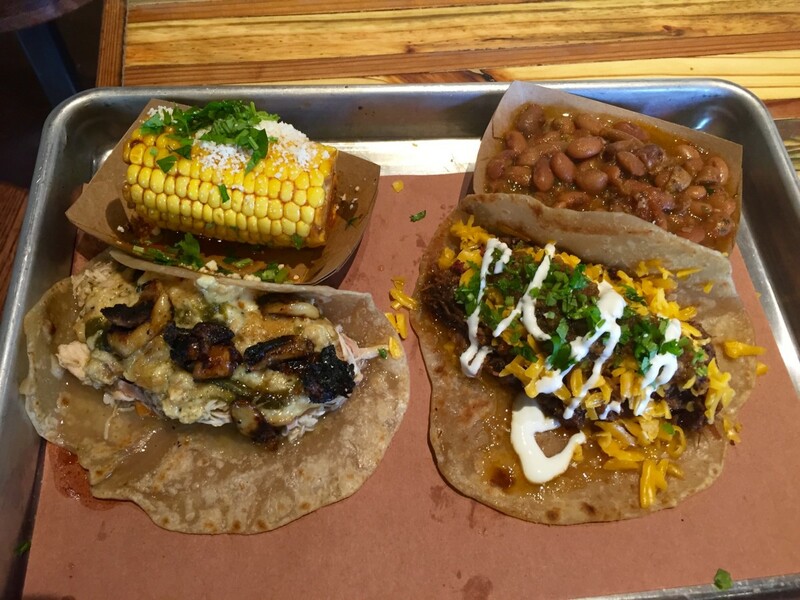 Housemade tortillas that incorporate smoked brisket fat might be the dish of the year, especially since they’re used in massive tacos that feature toppings like pulled chicken with roasted garlic. 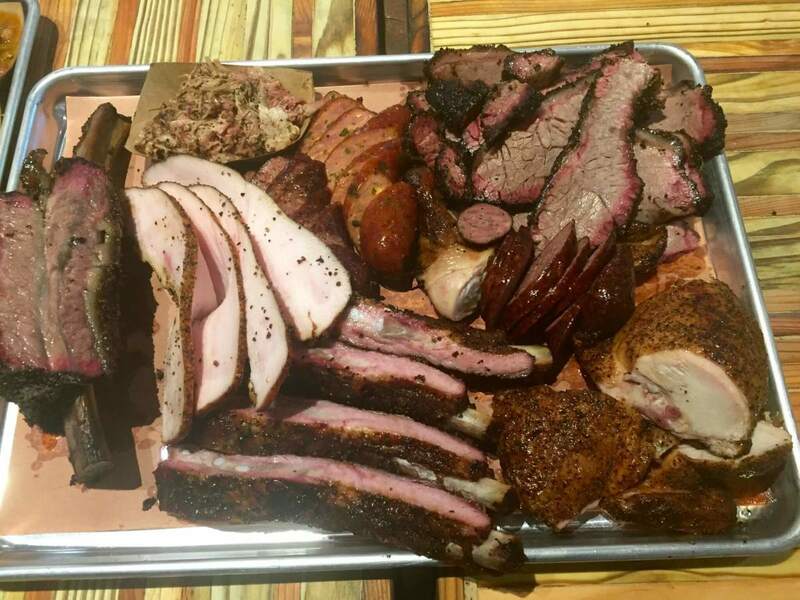 Now that the restaurant has added dinner service, it has the potential to be one of Houston’s most-acclaimed barbecue destinations. While I respect the believes of the passionate gun activists who refuse to patronize a business that won’t let them enter with a concealed weapon, I also feel a little sorry for them, because they’re missing out on some really delicious food by refusing to try Pi Pizza. 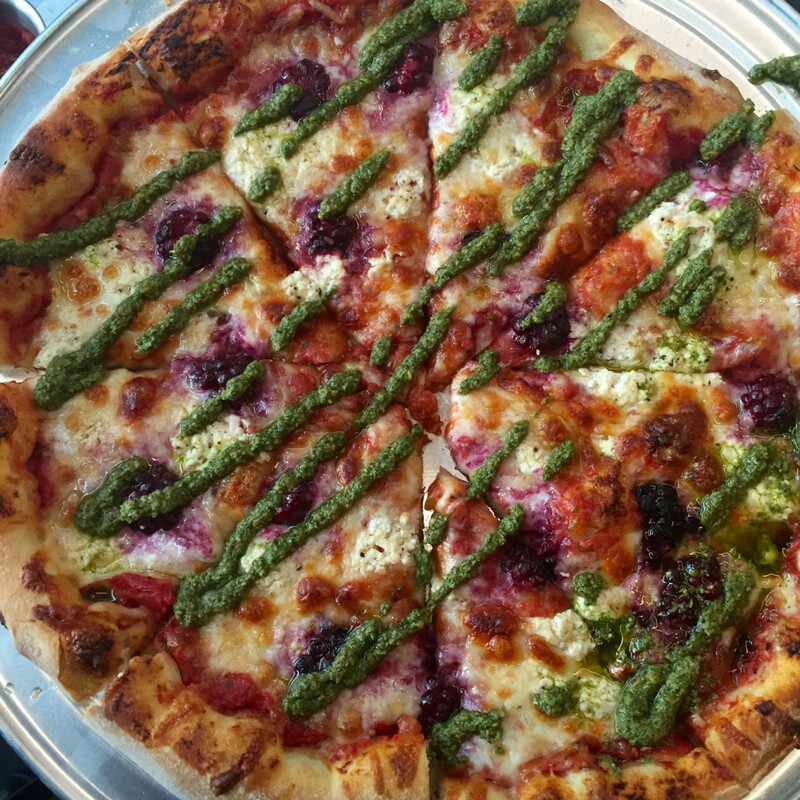 Moving from a food truck to a brick and mortar restaurant has been highly beneficial for chef-partner Anthony Calleo’s creations; the dough has a better, chewier texture, the number of pizzas he serves has expanded, and the additions like a classic Caesar salad and surprisingly addictive fried cauliflower, give it an appeal even for non-pizza eaters. Partnering with Lee Ellis’s Cherry Pie Hospitality has been beneficial, too, as demonstrated by the sophisticated bottled and frozen cocktails, elaborate decor, and polished service. The only downside is that a lease restriction prevents the restaurant from selling pizza by the slice, so the legendary 420 is off the menu (at least for now). 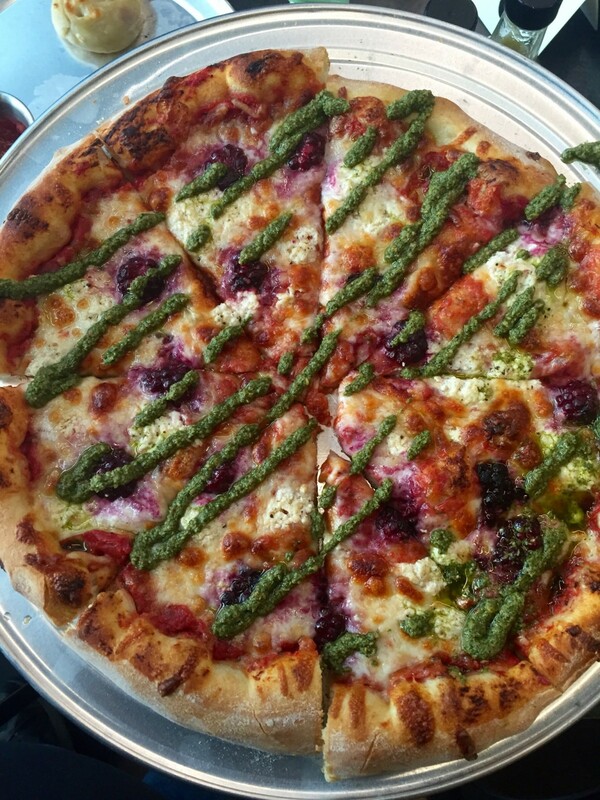 That’s a small price to pay for daily access to the best chicken parm sub in Houston and creatively-topped pizzas like the Sgt Pepper Redux (blackberries, chevre, mint pesto). Everybody knows that the quality of the food is only one component of eating in a restaurant. 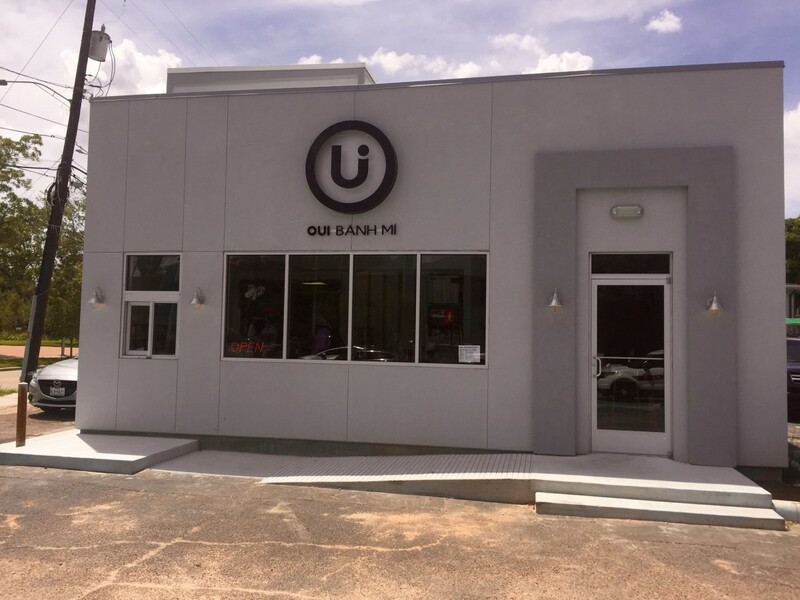 The decor, the ambiance, and the service all shape the experience. 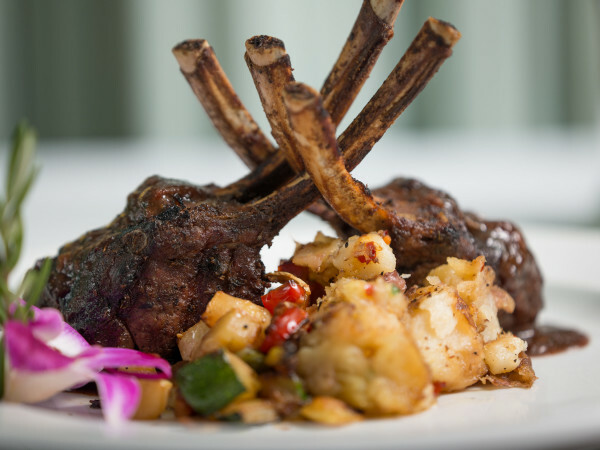 Dining at Le Colonial, the Houston outpost of the New York-based chain that opened in River Oaks District in August, demonstrates this phenomenon well. Dinner with friends revealed dishes that were hit or miss — for the record, we liked the spring rolls, shrimp in tamarind broth, and bo luc lac but found the chicken salad bland and the pho salty (especially for the price) — but the experience is phenomenal. 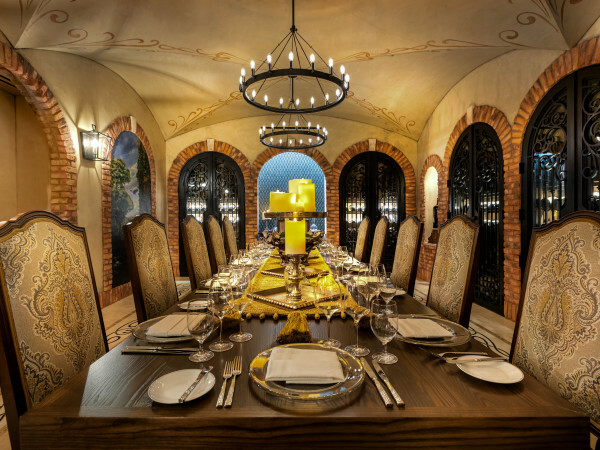 The luxurious decor gives the room a sense of occasion, and most of the other diners are dressed up like they’re eating somewhere important. The upstairs lounge is lively and definitely feels like something special is happening. For well-executed Vietnamese food, stick with Houston classics like Que Huong and Hyunh; the flavors are the same, and they’re less expensive. 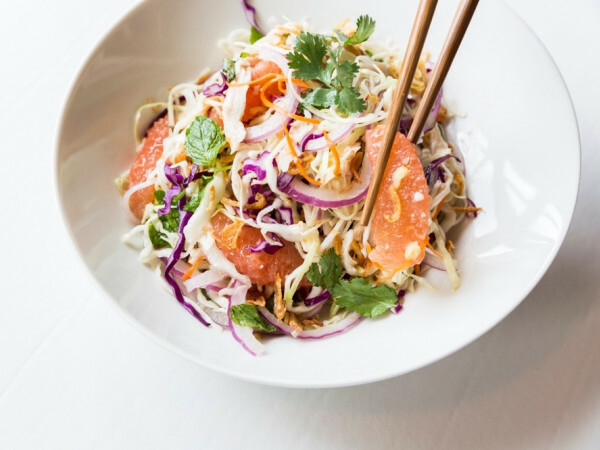 For a Vietnamese-themed fine dining experience with luxurious touches, it’s hard to top Le Colonial. This Italian-American restaurant from the Helen folks pays homage to the East Coast, red sauce dishes that play a supporting role in classic movies like The Godfather and Goodfellas: slow-simmered, hearty food that sustains a group of people who have to go to the mattresses. While it could come off as kitschy, chef William Wright’s genuine affection for these dishes means they’re carefully prepared and utterly charming. Chicken Parmesan, a half-chicken that would easily feed two, arrives crispy and juicy with a bright tomato sauce that nails the sweet-tart balance. Spaghetti gets serves properly al dente, but the real must-order is the caprese salad. Pulling the mozzarella means it’s served warm, and the marinated tomatoes avoid the trap of underripe, out-of-season produce. I’ll be back to try the clam-topped, New York-style pizza. On the beverage side, look for sophisticated cocktails from beverage director Lainey Collum and rising star bartender Josh Bearden, as well as a wine list curated by Pax Americana partner Shepard Ross. With good food and fun drinks, it’s no wonder Heights residents are packing the place. 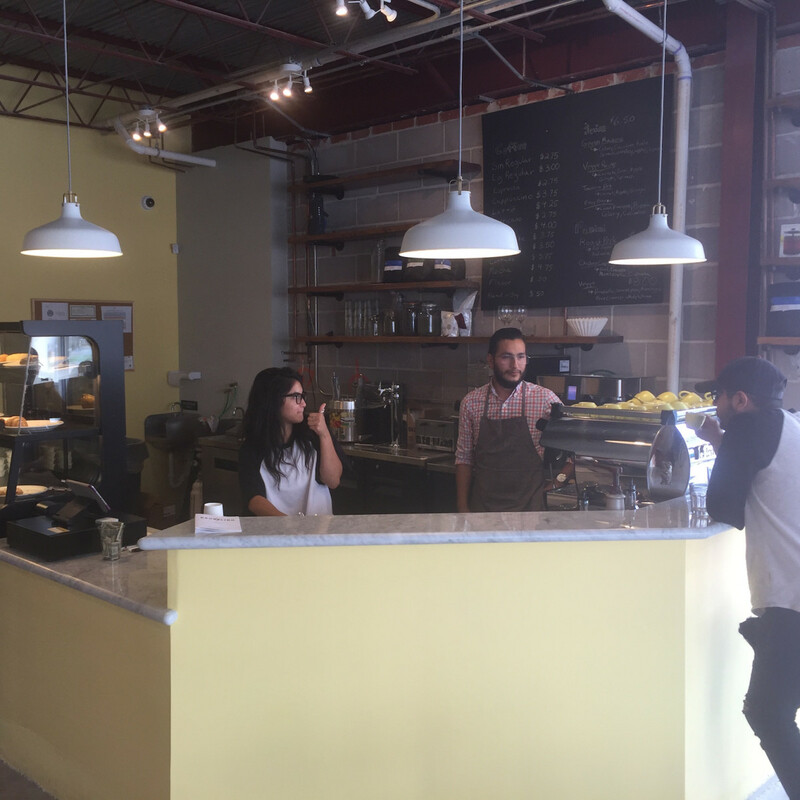 Finding a coffee shop that serves locally-roasted coffee may be easy inside the loop, but the movement still hasn’t spread throughout the Houston area. 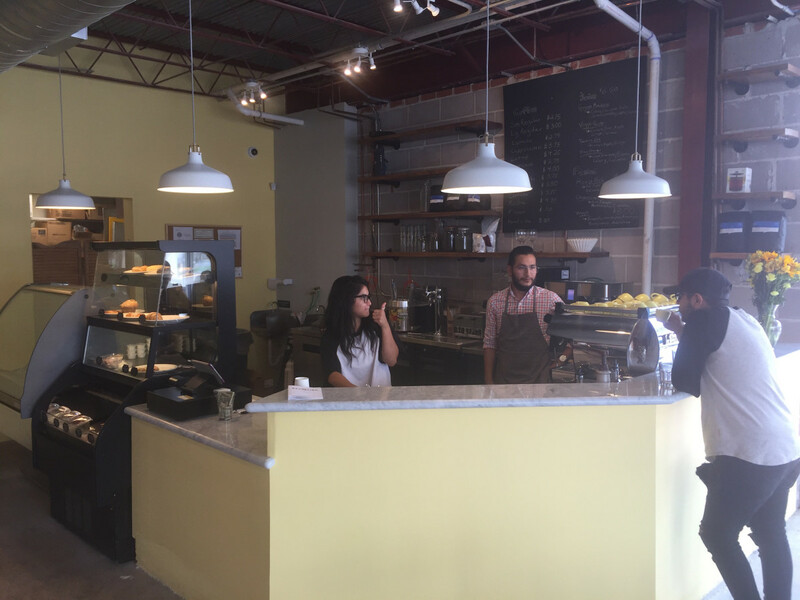 Thankfully, Dandelion Cafe gives Bellaire residents a place to get Greenway Coffee, pastries from Weights + Measures, bagels from New York Bagels, freshly squeezed juices, gelato, and a tidy menu of sandwiches and salads. Hanging plants contrast with concrete floors and exposed ceilings to give the room some charm. While most people will probably opt for a turkey sandwich or a super food salad made with kale and quinoa, don’t miss the roast pork panini that allows owner Sarah Lieberman to pay homage to her Philly roots. The only downside is that the cafe has been so successful that it tends to run out of pastries or a specific sandwich before closing, but Lieberman comes off as smart and passionate. Once she works through the soft-opening growing pains, Dandelion will be an essential part of its neighborhood. 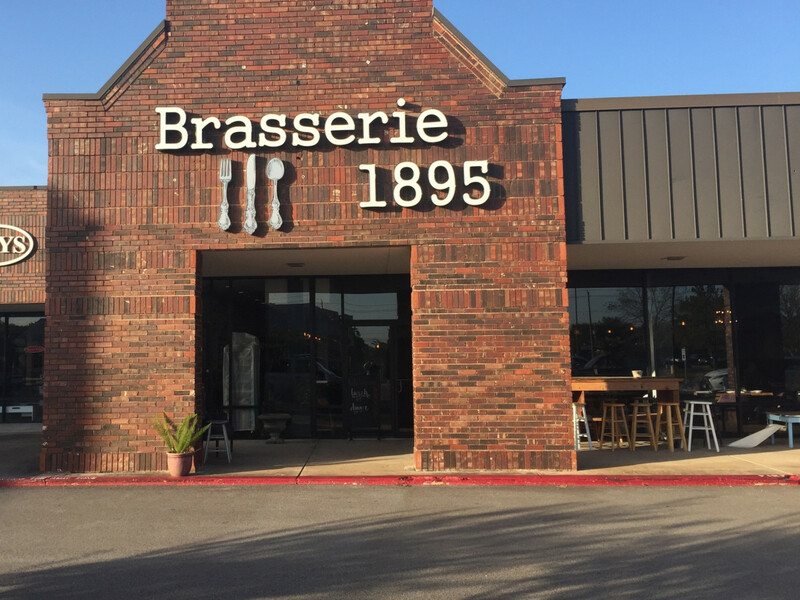 As the two-hour waits on weekends demonstrate, Houstonians are pretty excited that this Denver-based, all-day brunch restaurant has opened in Montrose. Complaining about the wait is almost as popular, but the reason people put up with the hassle is that the dishes are creative, flavorful, and well-executed. 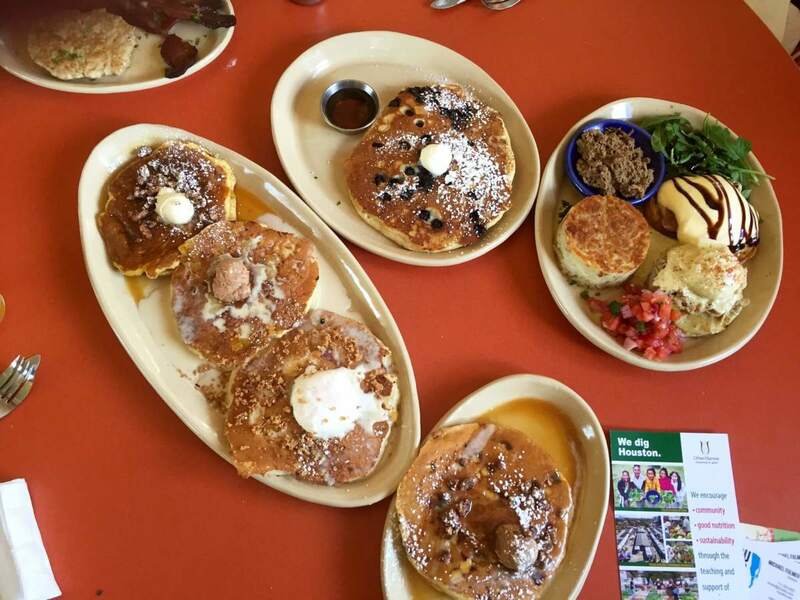 Sure, cinnamon roll pancakes are really sweet, which is why they’re best as one item on a pancake trio with two more traditional options (like the super-fluffy blueberry). Egg dishes, including signature items like the breakfast pot pie, run the gamut from light and healthy to hearty and filling. Service from the relentlessly cheerful staff and a range of alcoholic and non-alcoholic beverage options mean that, when you do sit down, the experience will keep you coming back. 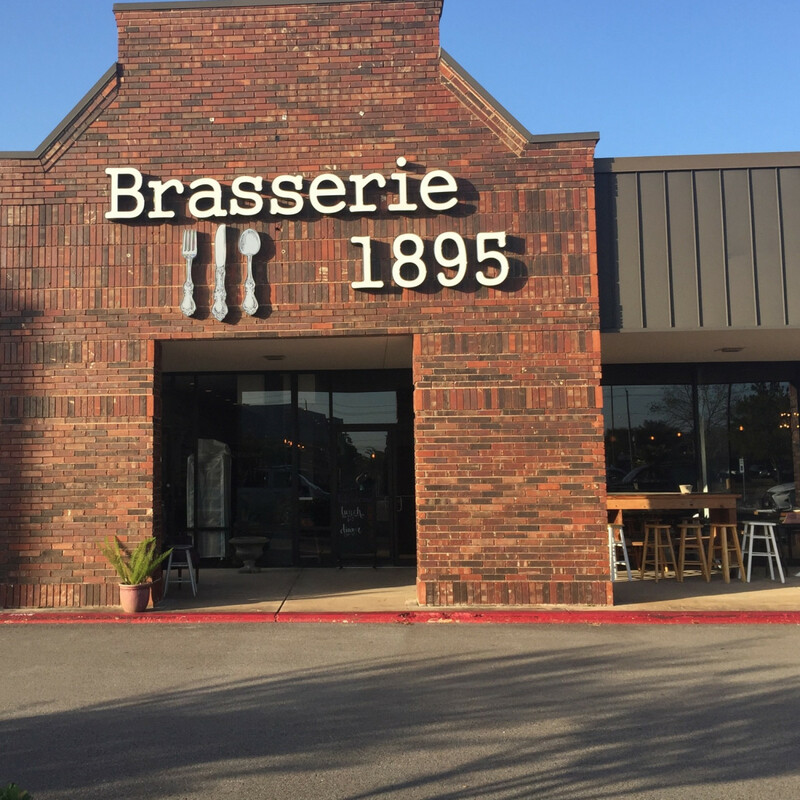 Calling Kris Jakob’s recently opened, European-inspired establishment the best restaurant in Friendswood is probably damning it with faint praise given the limited competition for the title, but Jakob is doing something pretty special at Brasserie 1895. Few restaurants in the Houston area would serve Indian-style rogan josh with housemade naan alongside chicken fried steak and housemade pasta, but they all find a place on the restaurant’s menu. Indeed, all of the restaurant’s housemade breads are worth coming back for. A well-priced wine list and a craft beer list that delves beyond the usual locals only adds to the sense this restaurant is offering something special that should draw diners from places like Pearland, Clear Lake — and maybe even inside the loop. For as much as people love to wonder about whether Houston needs another steakhouse/burger joint/taco shop, no one ever asks why there aren’t more places to get a souffle. But shouldn’t they? 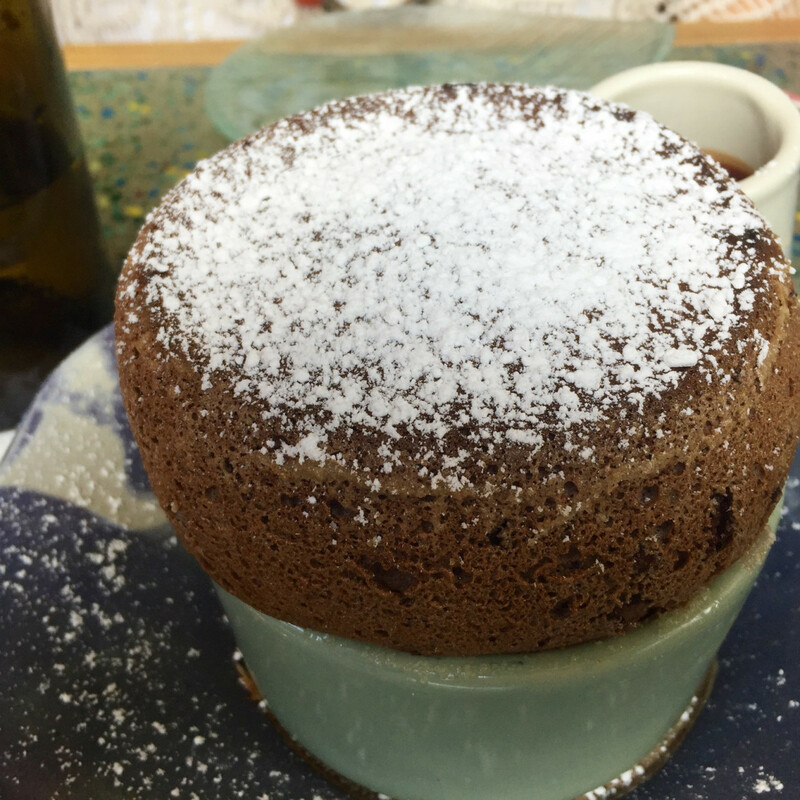 Souffles are light and fluffy and serve equally well as sweet or savory. 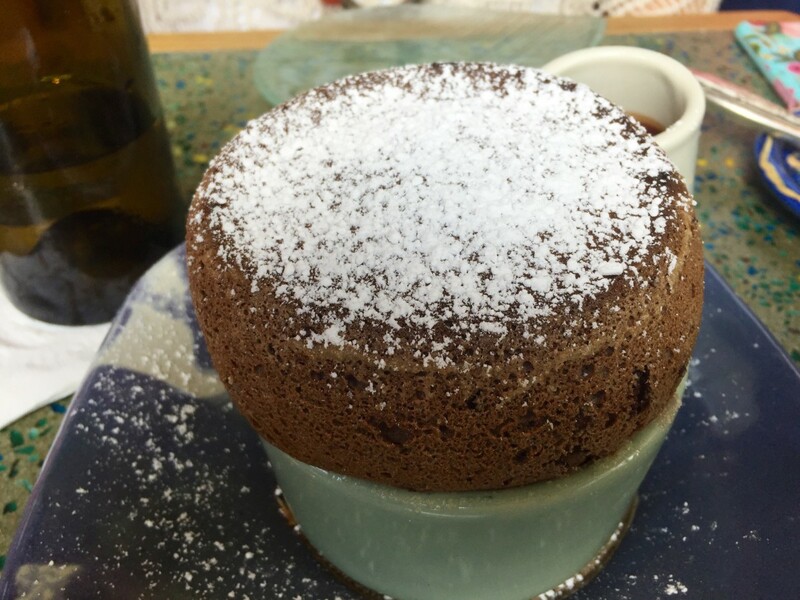 Thanks to Rise nº2, the Galleria-area outpost of the Dallas-based restaurant, Houston has another place to get souffles. The space has a dimly-lit, romantic vibe that would make it a perfect date spot, and the menu is accessible enough to appeal to a wide variety of diners. On the savory side, we liked the umami-rich, truffle-infused mushroom variety better than the slightly salty ham and cheese, but just about anyone will enjoy the luxurious chocolate for dessert. Paired with a couple of glasses of rose, the dishes made for a leisurely, satisfying lunch. I’ll be back for a few bites from the decadent-looking cheese cart and what appeared to be a highly credible steak frites. Montrose residents may miss Lucky Burger, but this recently-opened banh mi shop gives the neighborhood an appealing replacement. Now that it’s emerged from its soft-opening, the restaurant is open from 11 am until midnight every day, which makes it convenient for both lunch and dinner. The menu consists of the namesake sandwiches that are served on bread that balances the crunchy exterior/soft interior needed for a good banh mi. 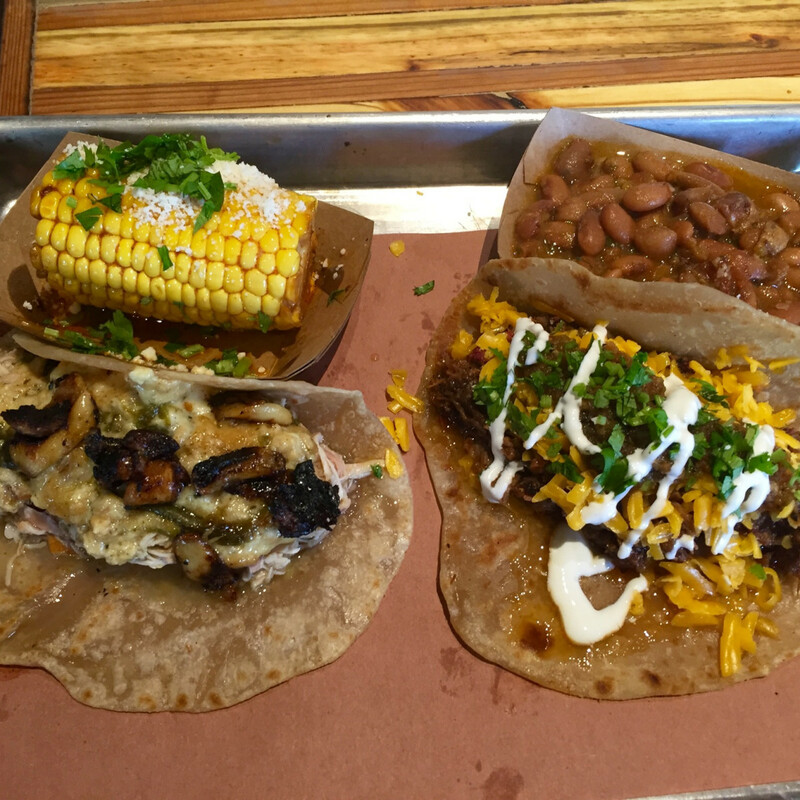 The portion might be a little light, but a double meat option is available. Hazelnut-flavored cafe sua da is one of those ideas that’s so delicious you’ll wonder why no one has thought of it before. 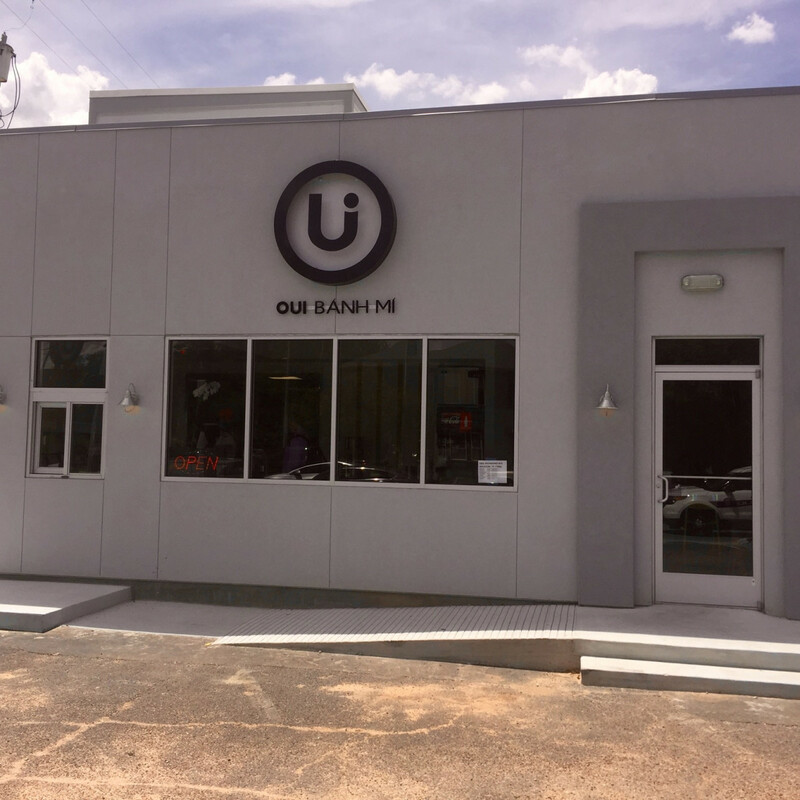 Despite its unlikely location on 59 just north of 610 on the way to Bush Intercontinental, this new brewpub is a destination worth seeking out. In addition to a rotating selection of mostly easy-drinking beers (low ABV, reasonable IBU) brewed on site, the pub also offers a mix of beer cocktails and beers from other high-quality local brewers. Turning to the food, the menu skews Germanic with options like a burger made with a pork and venison patty, Belgian-style frites, and the obligatory giant pretzel. 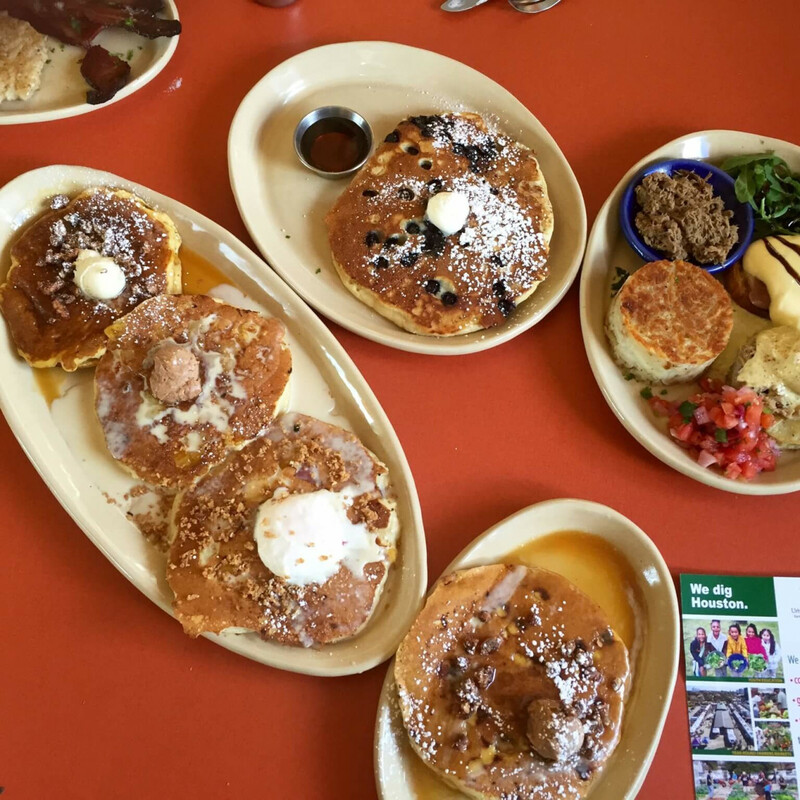 I’d rank it a notch below the dining options at Karbach and Saint Arnold, but the brunch menu looks appealing. Looking for more options? Try the picks from July, June, and May.